There were two tournaments to choose from this week, both ASA Clark school in Pewaukee and Gold Meir in Milwaukee. 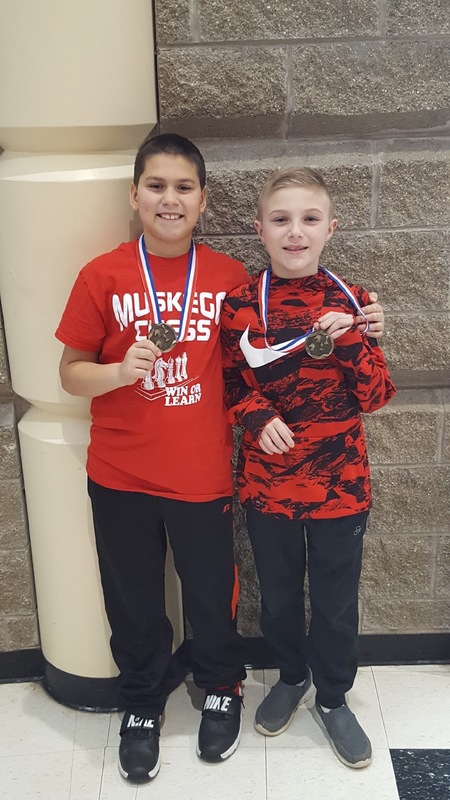 Both were large tournaments and our MSCC players made us proud! 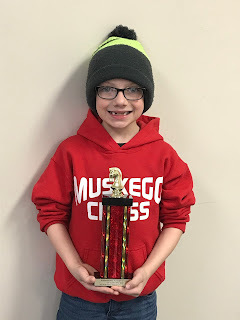 Anthony has been on fire these last two tournaments and again went undefeated at 5-0, finishing 2nd place only because of tie breakers that didn't go his way. Riahn played in his first full tournament and had a nice win and a draw. Logan led the way with a 4 win day and 5th place! Andy and Luke both had 3-1/2 and Luke earned his red band! Rishi is Mr. Consistent and had a solid 3 win day. Together the Lake Denoon team finished in 3rd place! Will led the way with 3 wins and a 2nd place finish. Adam, Alyssa and Aaron were all right behind and together the team took home a 1st place team trophy! Steven was the only member from Bay Lane but also had a good day with 2-1/2 out of 4 wins. Josh played in the U800 K12 section and finished with a solid 3 wins and 11th place finish. Logan, new to the club and in his first tournament played in the U500 K5 section and had some nice games - we're hoping he'll join future tournaments as well! Congratulations to all for some well played games and good sportsmanship the whole day. You represent the MSCC very well! 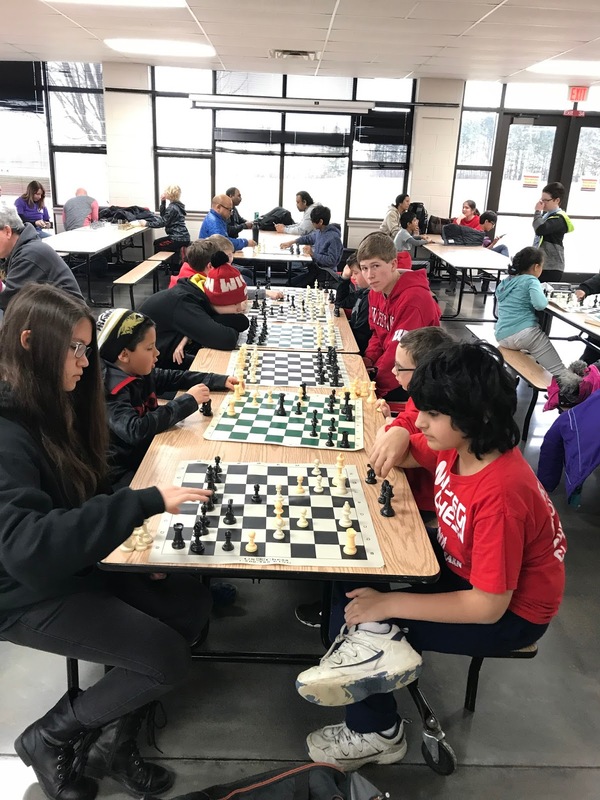 The MSCC brought a great group of 11 players to the WSCF tournament at McKinley school in Wauwatosa this past weekend. 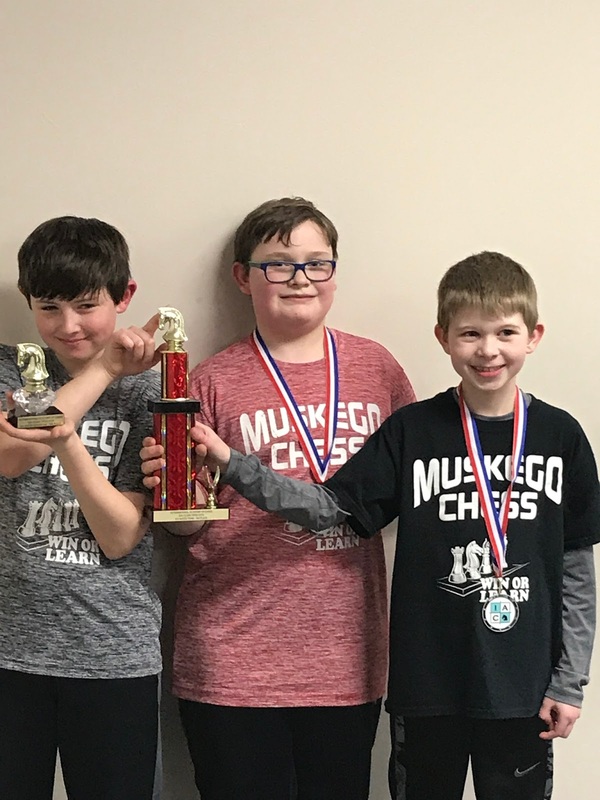 Many of you will know the coach of the McKinley chess club - Mark Seghers - as the founder of our own chess club back when his kids were at Mill Valley. It was a well run event (first time for McKinley) with over 100 players! In this division we had one 'veteran' with Anthony and 3 new players - brother/sister duo Lucas and Lexi, and Riahn, who could only stay for a couple of rounds. Anthony let the way with a fantastic 5 win/no loss day and took first place! Lucas also had a great day of 4 wins/ 5th place finish and earned his red wrist band, and Lexi was right behind w/ 3 wins, really great for the first time! The team took 2nd place which was awesome, considering the very large team that McKinley brought. 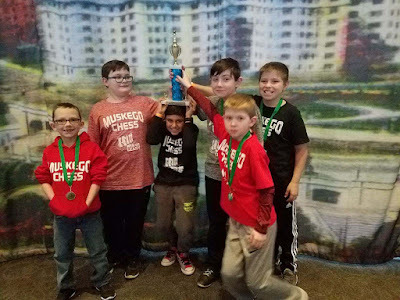 Most of our players were in this division, including Rishi, Josh, Cael, Carson, Sarah and Nate. 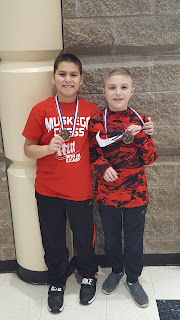 Cael let the way with 3 wins and a 10th place finish and Rishi was close behind, also with 3 wins. Together the team took 3rd place! Steven was our lone player in the K12 divsion and played well, with only 2 losses. We will be "off" as far as tournaments go for the next weekend, and then back on the 24th at both WSCF / Golda Meir and IAC /ASA Clark. Let's get some teams! Last Saturday while our High School team finished out their season in Brookfield, nine other MSCC players were hard at work at Discovery World! 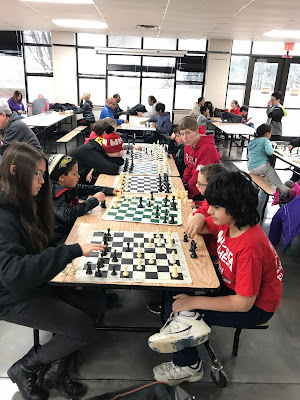 It was a well attended tournament with about 155 players. Anthony was out lone player and did very well, finishing in 6th place! We had a big group here, with Rishi, Carson, Andy, Jack R, Luke and Logan. 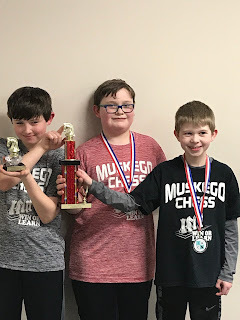 Andy and Logan led the team with 3rd and 7th place wins! And the team did a great job overall and took a 3rd place finish! Will B and Cael played some nice matches in the tough division. I'm sorry for not having all of the results, but it appears that some of the standings were lost and will not be available. Next up - WSCF McKinley this Saturday! Yesterday while another MSCC group went to Discovery World, our High School team finished out their last 3 matches at Brookfield Academy. 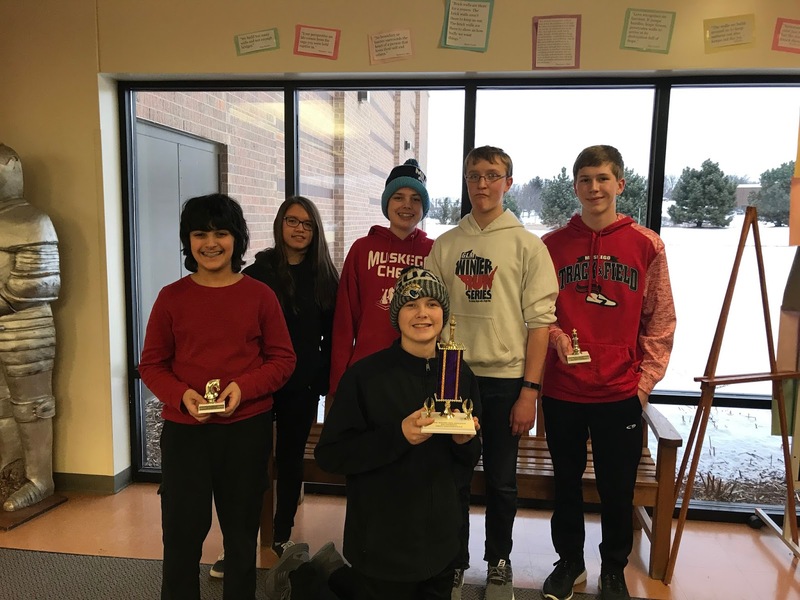 The team of Will S, Alyssa P, Adam P, Aaron G and David B went 2-1, barely losing to Brookfield East, but winning against New Berlin West and Kewaskum. The Varsity team went 3-3 on the season and took 4th place, very good for such a young team going up against a lot of Juniors and Seniors in the league! Steven A played JV and did very well, finishing 4-2 and 2nd place overall! In addition, Will was voted to First Team All-Conference by the coaches (of all schools) and Steven was given a Coaches Choice award for his willingness to always step up and join the Varsity team as needed. Congratulations to all on a great season!